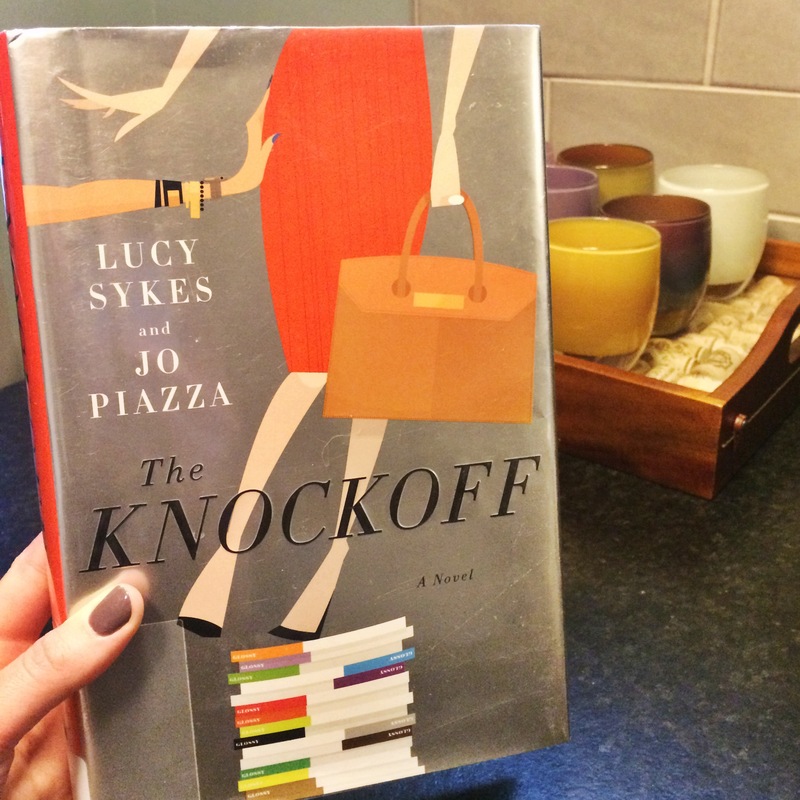 A light story, The Knockoff: A Novel by Lucy Sykes and Jo Piazza, is a quick read. I listened to this one as an audiobook while commuting to and from work. While it was cheesy at times, it was an entertaining alternative to the same five pop songs playing from the radio on repeat. The Knockoff: A Novel centers around Imogen, the editor in chief of a fashion magazine based in New York City. When Imogen returns to her job after a six month medical leave she finds that her magazine has been transformed into a website. As Imogen tries to keep up with the advancing technology and an office overrun with millennial employees, she finds herself to be irrelevant. I have some opposing opinions on this book. One the one hand, parts of the story were funny and I related to the feeling of falling behind in a tech driven world. On the other hand, many aspects of the book are very unrealistic. Would Imogen’s magazine really convert to an entirely web based venture in only 6 months with an almost entirely new staff? Probably not. And then there is Eve; Imogen’s former assistant who has returned to the company after graduating with an MBA from Harvard Business School and who now runs the business. Eve is the character that you love to hate. A raging sociopath, the character is completely out of touch with reality. I think Eve’s unprofessionalism and bullying tactics are very unrealistic as well. While I found Imogen to be endearing, at times I was completely fed up with her lack of self-preservation and that no matter how much she was pushed and bullied by Eve, she wouldn’t stand up for herself. While reading, I was raging in my head about all of the things that she should be saying instead! The Knockoff: A Novel isn’t my favorite story, but it gives an interesting and funny view of society as we depend more and more on technology. Love your book review 🙂 I was planning on reading this as well, glad to know some good and not-so-good things about it! I checked this book out from the library about a week ago and it’s sitting on my desk waiting to be read. Glad to hear your thoughts on it! I appreciate your honest review. I have taken this book off my ‘To Read’ list following your description of the unrealistic setup of the situation. I’ll definitely be interested to see other reviews from you! Thank you for reading my review!! Hi, I was wondering, if it is not too much to ask, if you could review my novel for me? Just to see what you think of it- it is already out and available, but I would still like to see what you think of it, as I am about to release it’s part two. If you were indeed ready to do so, how would you like to do it? Would you like me to email you a soft copy or do you prefer to get it on kindle? Hi! Thank you for reaching out, please email me at dreambydaybookreviews@gmail.com with the details and I’ll get back to you! thank you very much…you will keep it private first, right? You don’t need to send the file, but you can email me with any questions about reviews. Thanks! Hi, thank you. I have sent you the book hope you got it. I meant could you keep the review private until after i see it myself? Hello! Due to my the size of my TBR list, I have not had time to read your book and will not be able to. Thank you for reaching out though!